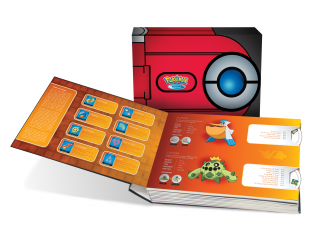 Description JOIN ASH KETCHUM AND FRIENDS …IN THEIR JOURNEYS THROUGH HOENN IN THIS LIMITED EDITION POKEDÉX COLLECTORS BOOK, LOADED WITH 132 EPISODES AND PAGES OF POKEMON PROFILES, REGION MAPS AND MORE! 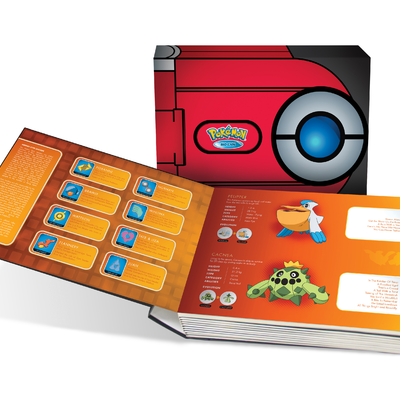 Pokémon Trainer Ash Ketchum and his best pal Pikachu are headed to the Hoenn region for another great Pokémon adventure! From volcanic Mt. Chimney to the wealth of islands that dot the region’s shores, Hoenn is the land where elements of earth and ocean meet. It’s more than just geology that makes this place special—Hoenn is home to scores of unique Pokémon species that inhabit the land, sea, and every place between. Ash might not be able to see them all, but he’s ready to try!